The Wild Bear of Russia- Completed?! | Plamo World! As you all might know, the Wild Bear of Russia, Sergei Simrinov (totally screwed the last name…), has a trademark scar on the left eye. 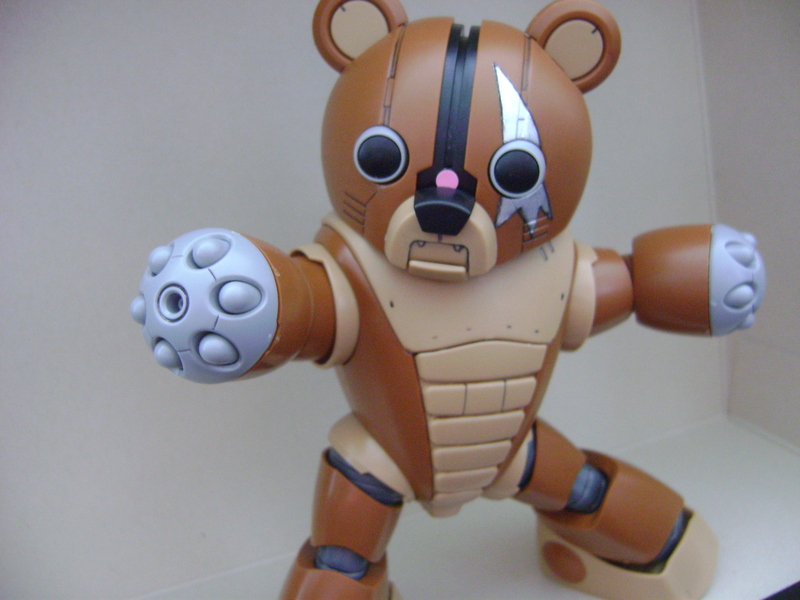 This idea hit me and I wanted the bear to have the same scar. 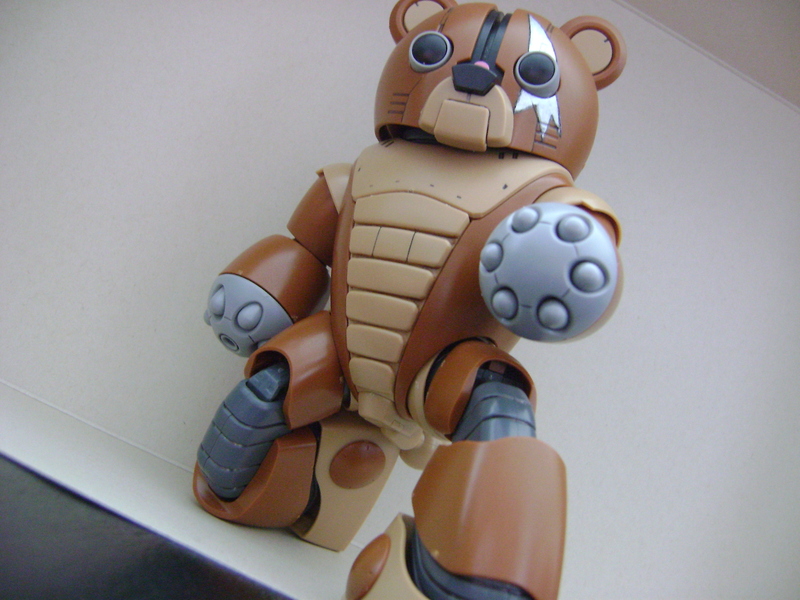 With almost no planning and a really noobish skill, I started scribbing some lines onto the bear’s face and then went on with some silver paint. The missile launchers on the hands still works fine. In addition to that, there is also a schoolbag on the back of the bear with a recorder hanging on the side. 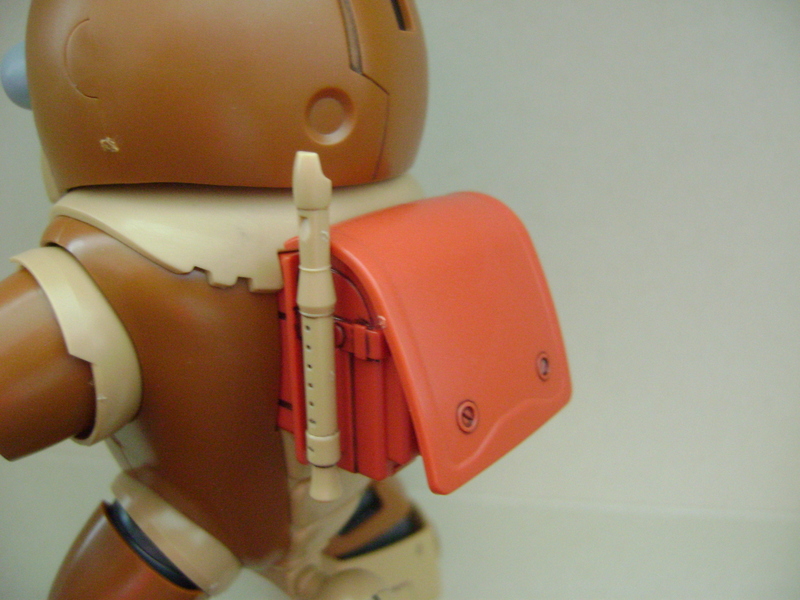 The bag is filled with missiles while the recorder fires beams together with the eyes! This is definitely not the regular school BEAR! 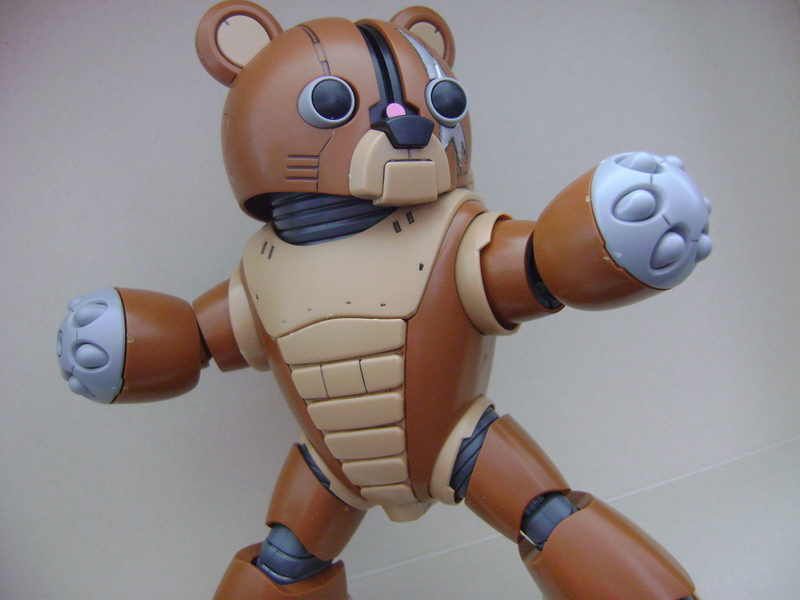 The HG Acguy was famed for its articulation and partial inner frame and same goes for the bear. 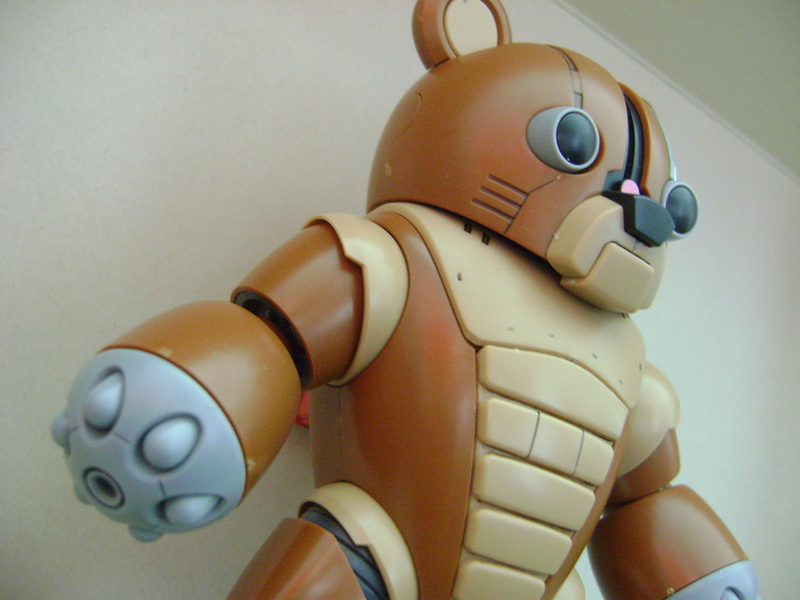 With such great articulation, this bulky bear can kneel with no difficulty at all. What’s more, the mouth can open up and reveal teeths, but mostly importantly, this opening mouth is for firing the beam recorder although you can’t do it with this model. 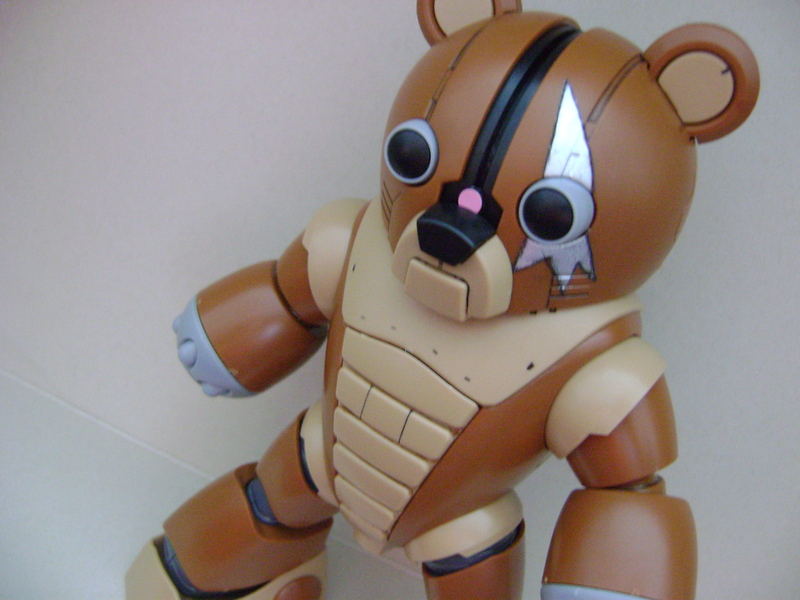 ^^; However one downside of the bear is that the mono eye tends to fall off really easily. This tiny little piece might seem to click in really well, but it only stays there loosely, I almost lost it twice! 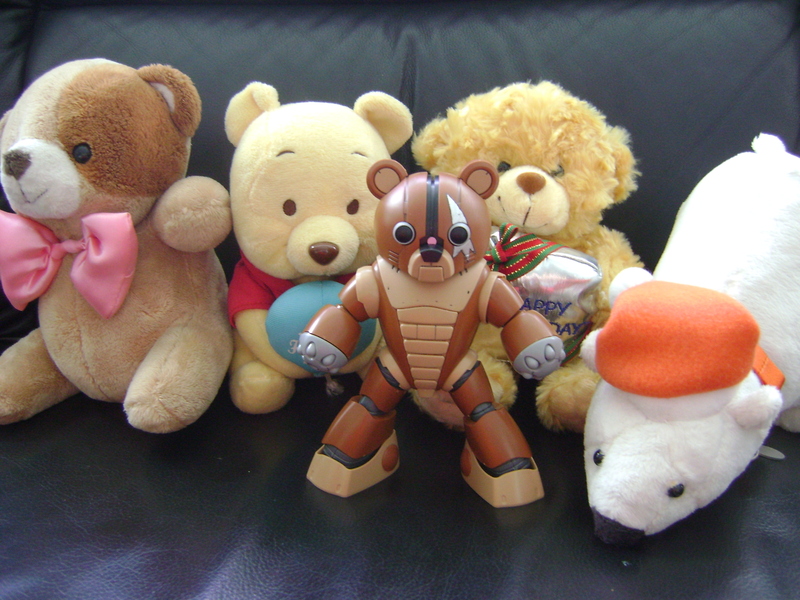 And with absolutely no reason at all, here’s a random picture of the bears I found lying around in my house. Sheesh, this is getting out of hand already! Anyway, here’s the end of my look at the bear. Definitely a great model and a highly recommended kit. 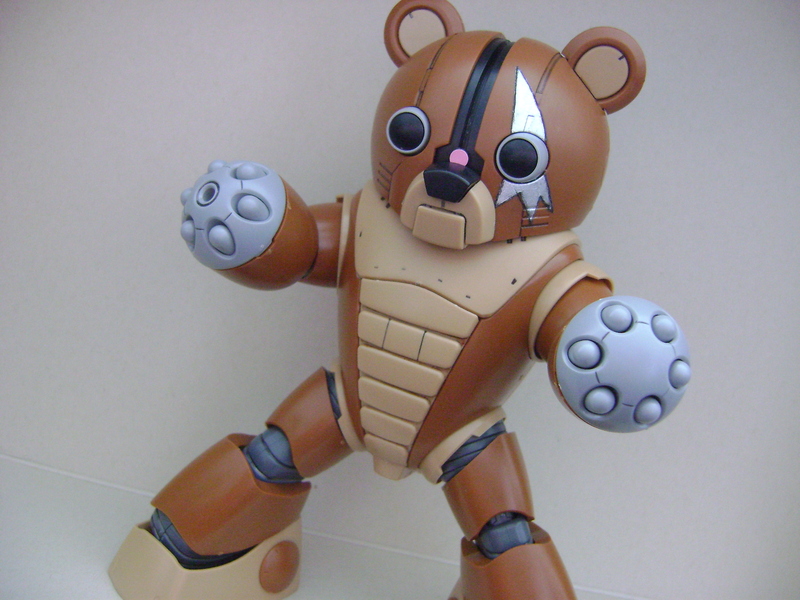 It has a really great bear look to it, which it obviously one of its main selling points, great articulation, highly customisable, you can really do almost anything you want with it! So yeap, that’s all for this post, hope you’ve enjoyed this post. But it’s quite a unique custom compare to the ones we’ve already seen of this model kit. you should have painted a HRL military uniform on it too! but still nice work! Damn it is nearly 2 years since you’ve posted but I want to say that when it comes to models – I have never read anything with such a good mood. Besides it, you have great taste in models! If there’s any chance to PM you in some way I would be more than happy. RG Char’s Zaku II- Completed! HG Brave (Commander Test Type)- Completed!